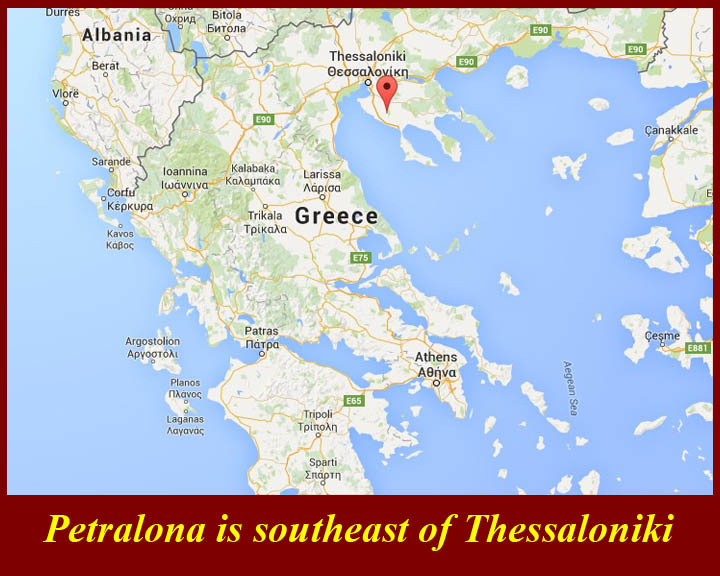 The earliest evidence of habitation comes in the form of a skull that was found in the Petralona Cave in Halikidiki. 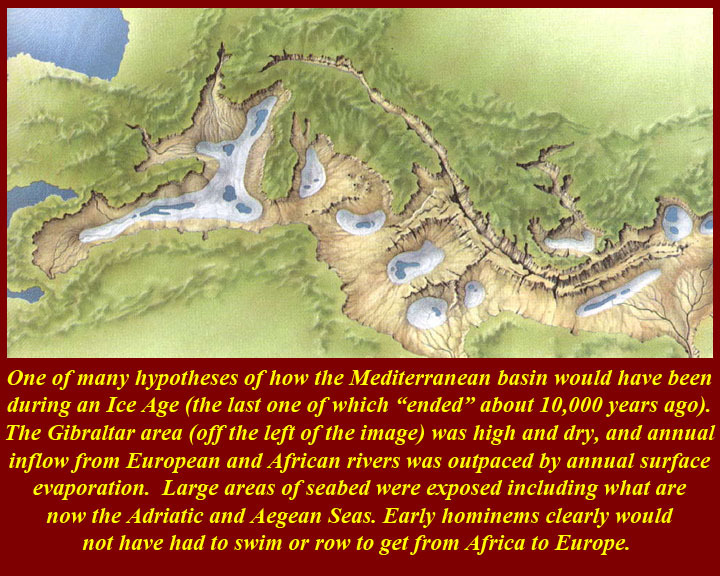 It was encrusted in the same material that forms stalagmits, and, at first was estimated to be 600,000 years old. That age has since been disputed, and it is now thought to be "between 300,000 years old and 600,000 years old. The skull's age is still in dispute. The exact age and the species of the cranium has not yet ben determined: it has been classified provisionally as a hybrid between “Homo Erectus, the first hominim aparently to migrate out Africa, and Homo Sapiens Neanderthalis, the early human that dominated Europe and the Near East until the a of our own species, Homo Sapiens Sapiens. 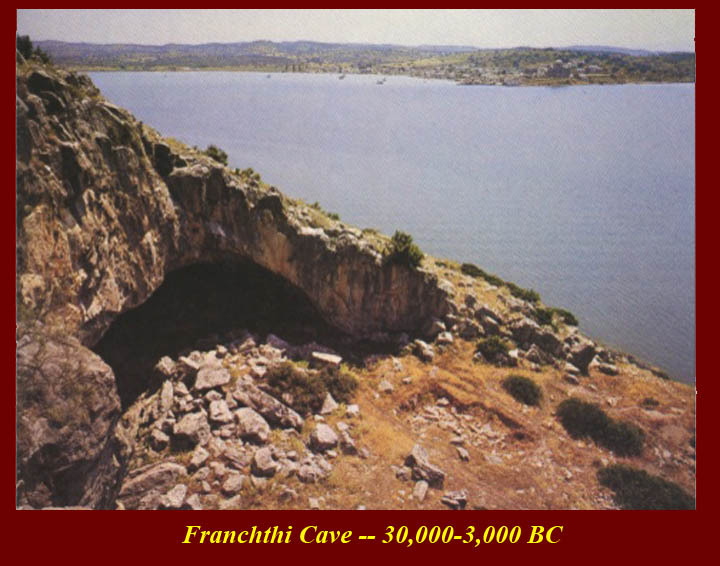 The earliest evidence of burials and commerse in the Aegean which have been dated to 7250 BCE were unearthed in Franchthi cave in the Argolid. 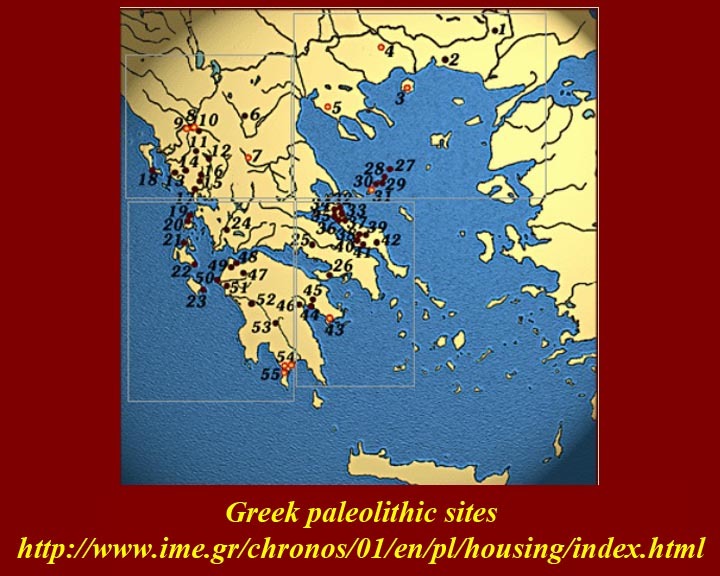 A wealth of stone tools found in sites in Epirus, Thessaly, Macedonia, and the Peloponnesse reveal the existence of flourishing Paleolithic and Mesolithic communities in the Greek mainland. 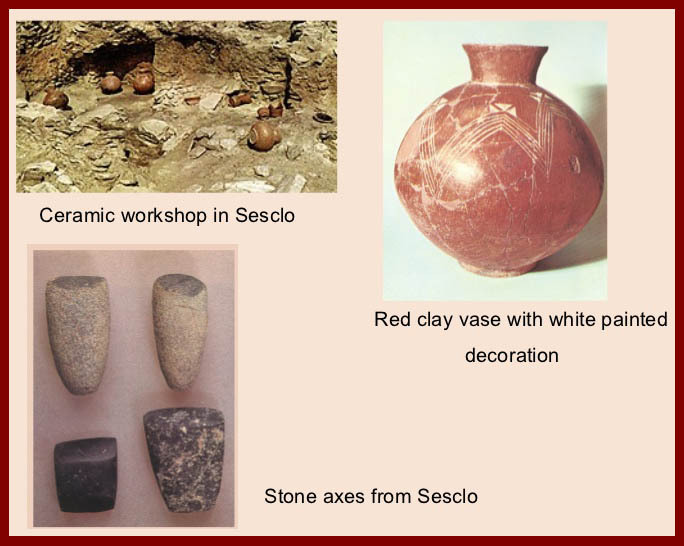 The Neolithic settlements of Sesklo (c. 7000 - 3200 BCE) and Dimini (c. 4800 – 4500 BCE) in Thessaly exhibit early evidence sophisticated social organization, fortifications, and construction of pottery art and “megaron” houses. 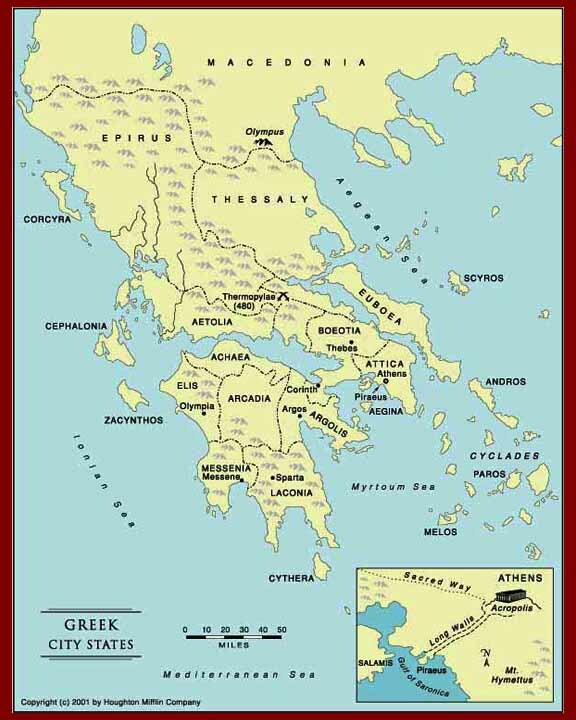 Simpler maps showing approximate regional divisions of ancient Greece (edges of which fluctuated over time) and locations of major city states after they had been established. 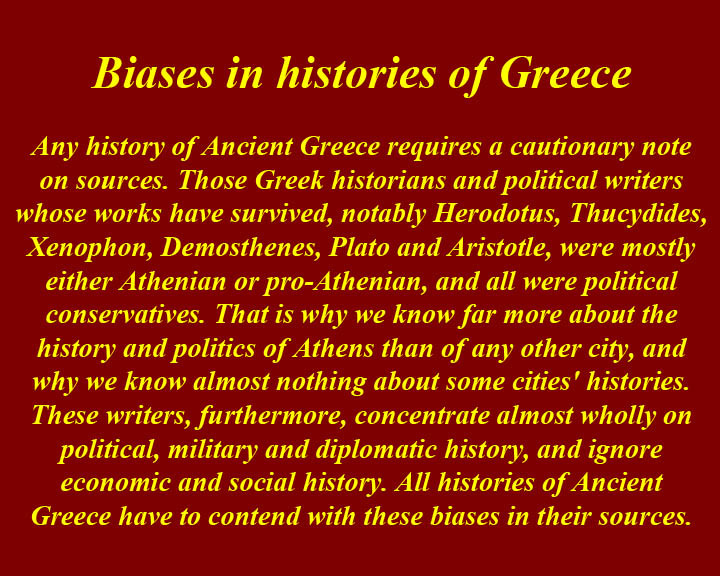 Bias in "history": Modern accounts of ancient Greece reflect the political biases and beliefs of their eras. Twentieth and twenty-first century Americans have been taught that democracy is a good thing. Almost everybody else, throughout the ages, have regarded democracy to be what the etymology of the word suggests -- "mob rule". Athens, we have been taught, was the cradle of democracy, despite the fact that very few male residents of the Athenian hegemony (and, of course, no women) had full citizenship rights and the vote. 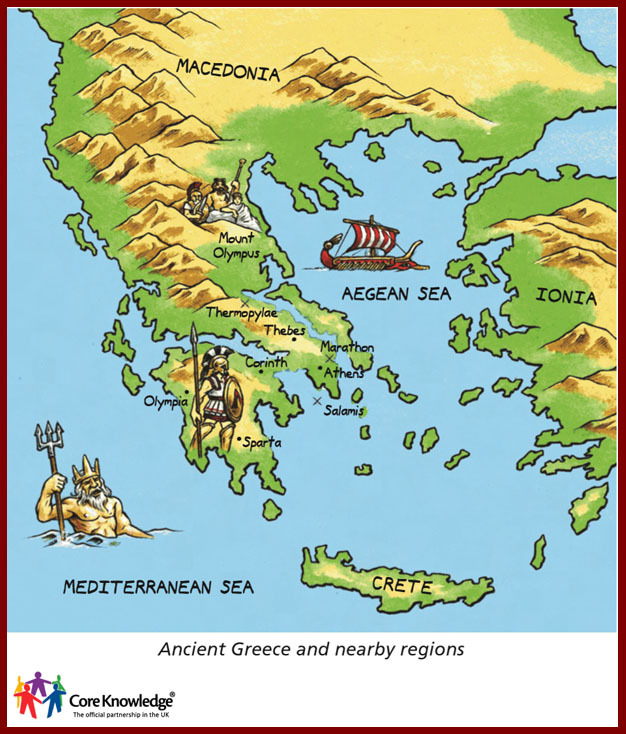 In addition, most of the time Athens was ruled by tyrants, and, when it was democratic, its democracy was imposed on Athens by the Spartans (who several times just eliminated the Athenian aristocracy). Ancient historians also added their spin to the history of their times. 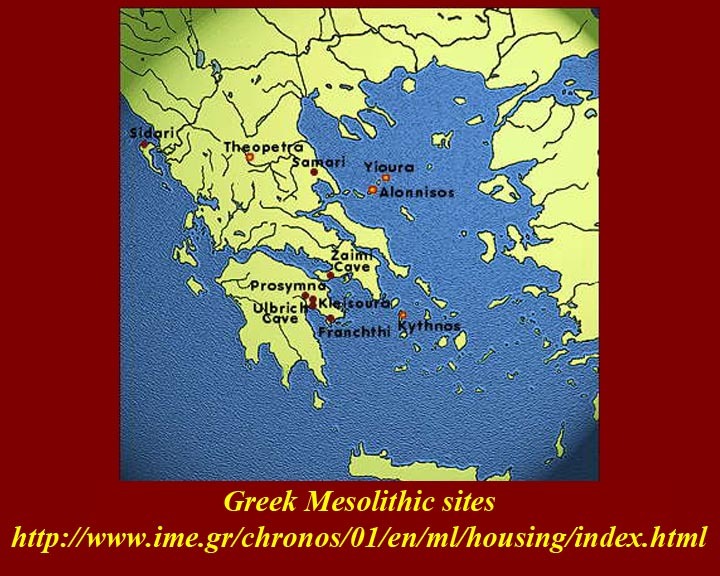 To some extent this was inadvertent: other Greek cities just don't appear to have contributed to the historical record. Writing history (and poetry, philosophy, drama, etc. which also could add to the historical context) seems to have been only an Athenian thing. The Greek historians and political writers whose works have survived, notably Herodotus, Thucydides, Xenophon, Demosthenes, Plato, and Aristotle, were mostly either Athenian of pro-Athenian, and, in addition, all were political conservatives (and didn't like democracy). Who is Steno and why do we care? Nicolas Steno (Danish: Niels Stensen; Latinized to Nicolaus Stenonis or Nicolaus Stenonius, born 1 January 1638, died 25 November 1686 [NS: 11 January 1638 – 5 December 1686]) was a scientist and a pioneer in both anatomy and geology. He became Catholic bishop in his later years. 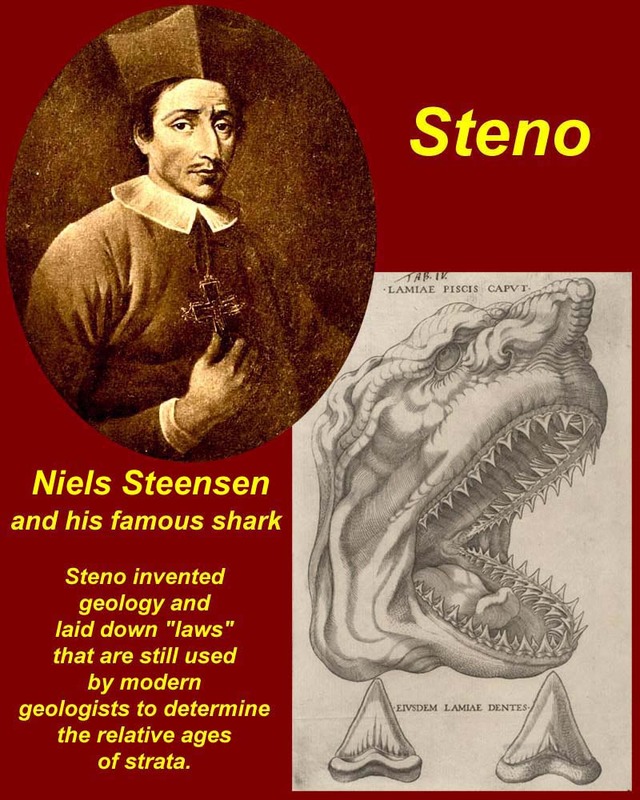 In 1666 Steno was given a shark head to dissect, and he noticed that the shark's teeth resembled certain stones dug from the ground (i.e. "fossils", the meaning of which was "things taken from a "fosse" or trench.) Steno hypothesized that these glossopetrae or "tongue stones" were in fact shark teeth that had somehow been petrified. This theory had already been expounded convincingly by Fabio Colonna (in De glossopetris dissertatio published in 1616). Steno, however, got credit for Colonna's insight after Steno published De solido intra solidum naturaliter contento dissertationis prodromus, or Preliminary discourse to a dissertation on a solid body naturally contained within a solid in 1669. Steno's added value was his own addition of stratigraphy: he maintained the obvious (after the fact, at least) that stuff near the bottom of an undisturbed deposit would have gotten into the deposit before stuff near the bottom of the deposit, a basic "rule" of geology and archeology. The shark head in the image with Steno's portrait is Steno's illustration from his 1667 paper on its dissection. At the bottom of Steno's drawing are a glossopetra and a tooth from the shark for comparison. 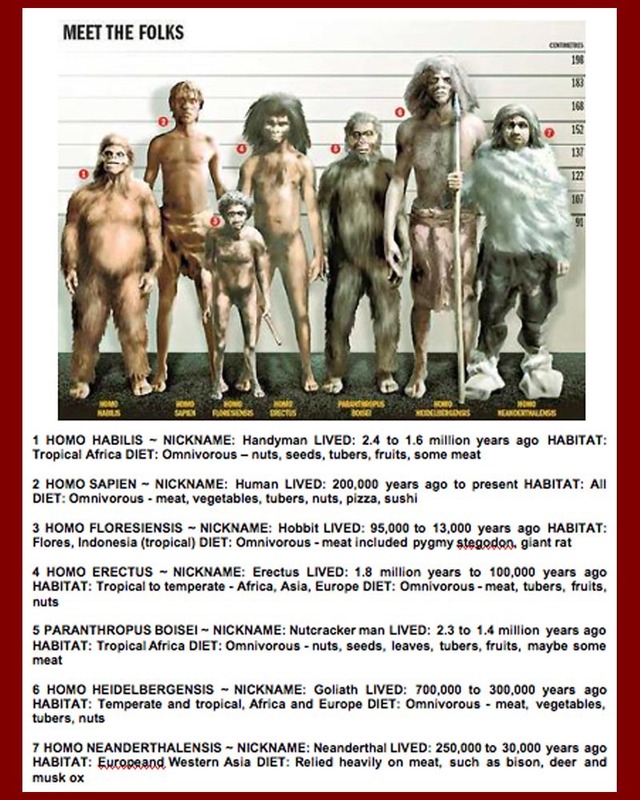 The lineup of our putative ancestors. The order is not strictly chronological: different clasts flourished at different times in different places, and it's fairly obvious that there was some overlap and interbreeding. 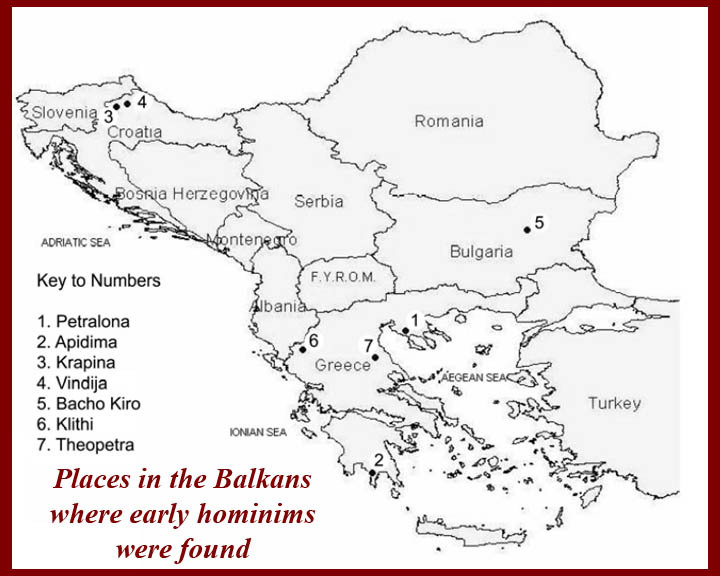 Homo Sapiens Neanderthalis lived in the Balkan Peninsula until about 30,000 BP (before the present) and Homo Sapiens Sapiens (i.e., us, modern humans) arrived about 40,000 years BP. There is no apparent evidence of mixed communities, but there is DNA evidence of interbreeding from samples taken from both modern and ancient populations. 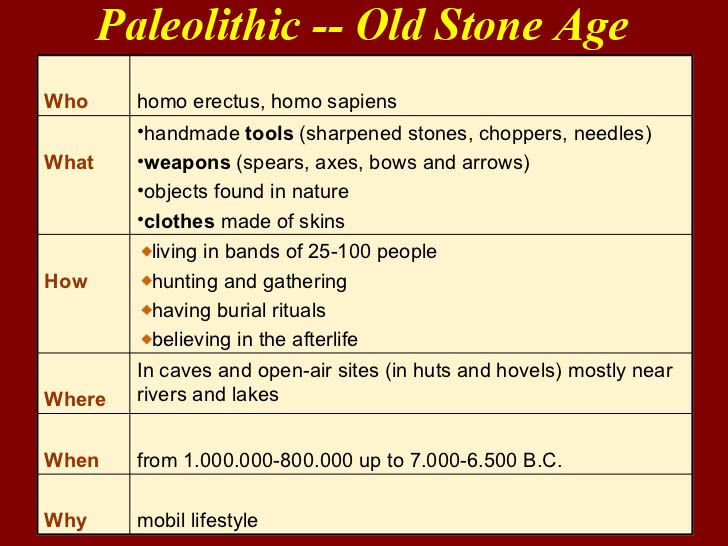 This class deals only with the stone age -- 600,000 to 3,000 BC. 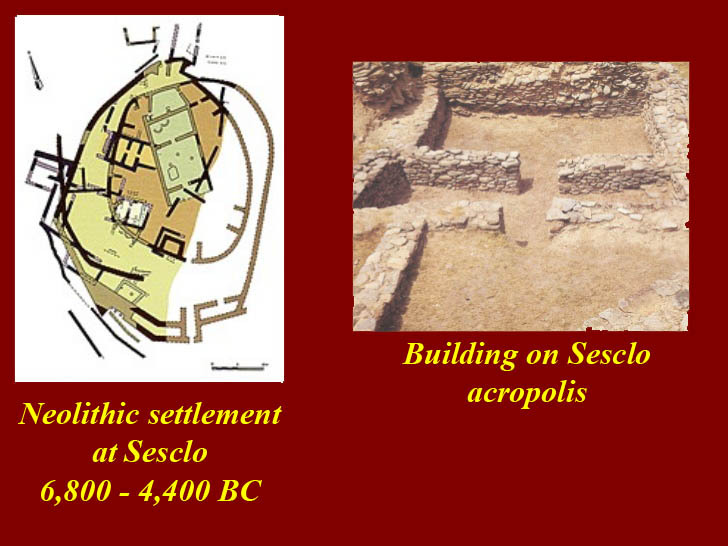 Class 2 in this series deals with the Bronze age on the mainland (Helladic), on the Cyclades Islands (Cycladic), and on Crete (Minoan). Clicking on links on these pages and on the interactive maps will take you to additional Internet pages that contain information about important sites. 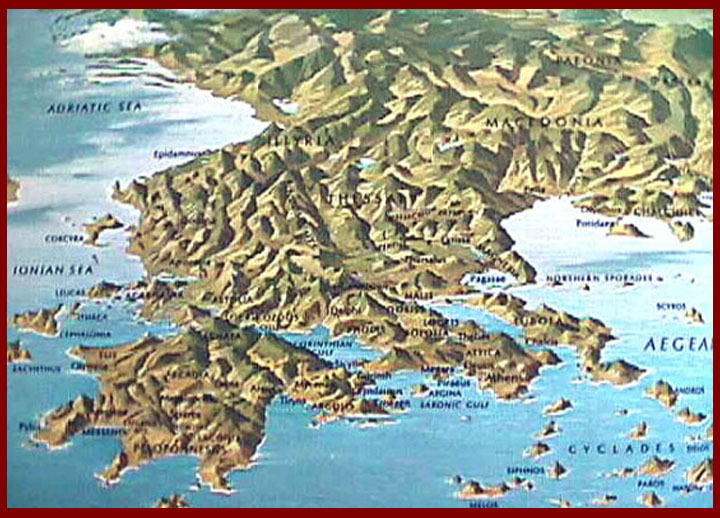 The interactive maps are on the Internet site of the Foundation of the Hellenic World (FHW). Many more links to that Internet site are provided below. Until recently, paleoanthropologistsbelieved (or, at least, propounded) a straightforward progression of hominin clasts, one springing from another with one or several "missing links". 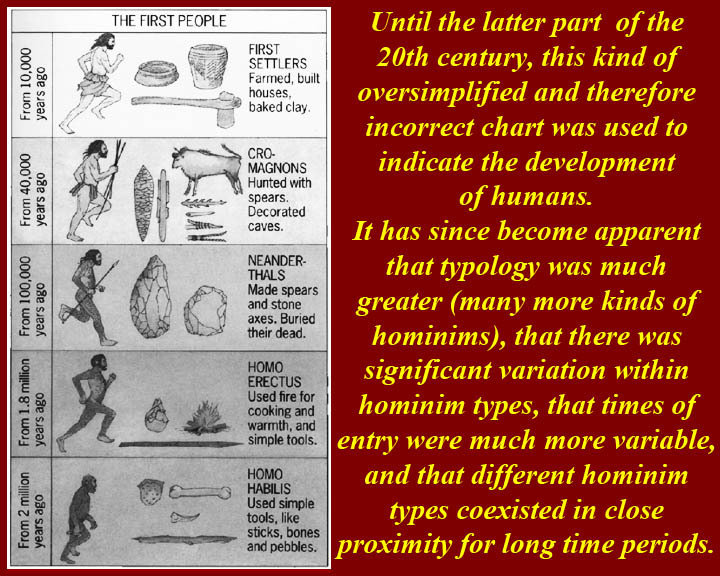 In the latter part of the twentieth century new discoveries and insights made it obvious that such a progression vastly oversimplified the arrival and period of various hominin types. 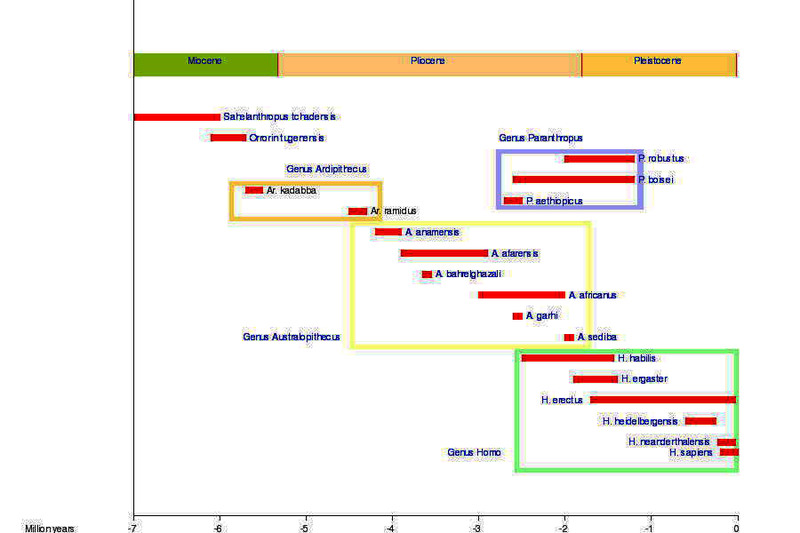 The most recent (July 2015) chart of hominin progression is shown in the second image. Also see https://en.wikipedia.org/wiki/Human_evolution from which the second image is drawn. 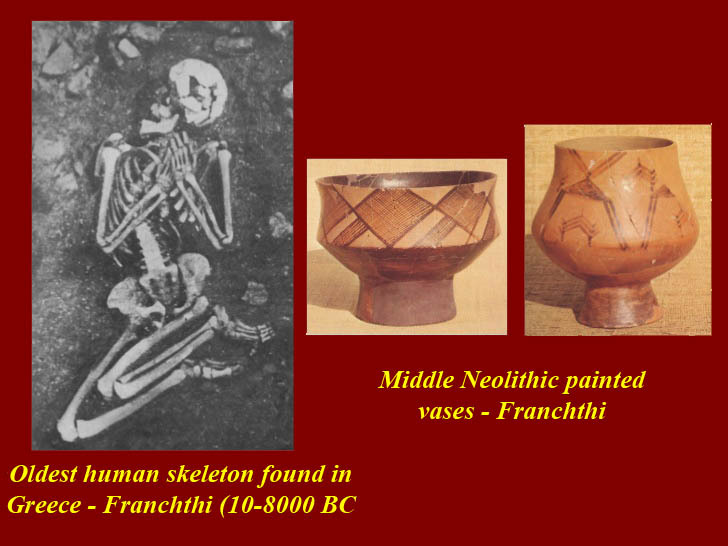 Hundreds of neolithic burials (interments from ca. 6000 to ca. 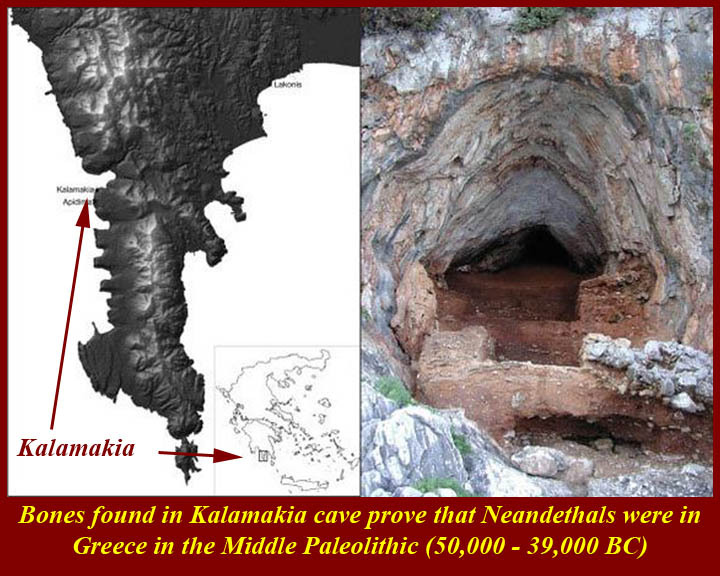 3000 BC) have been found in Alepotrypa Cave on the Mani peninsula at the southern tip of mainland Greece. According to some legends the cave is the entrance to the secret underground kingdom of Hades. Among the burials are three sets of double interments, one of which presents a "spooning" couple. 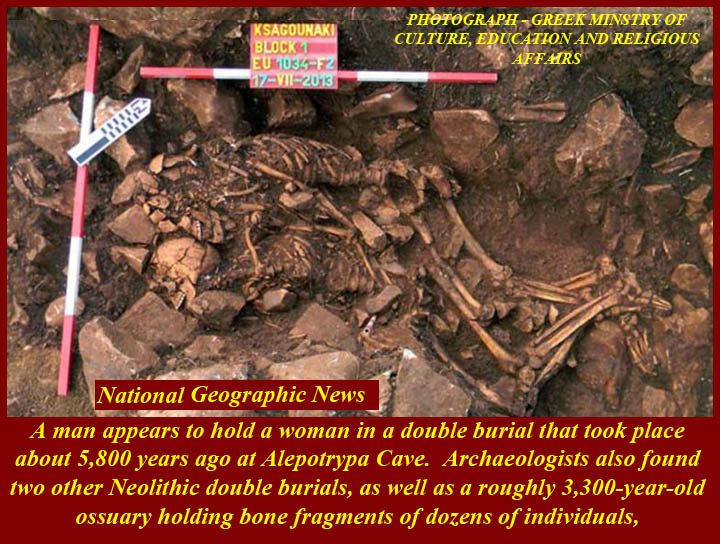 See http://news.nationalgeographic.com/2015/02/150220-embracing-skeletons-greece-diros-alepotrypa-cave-archaeology/. 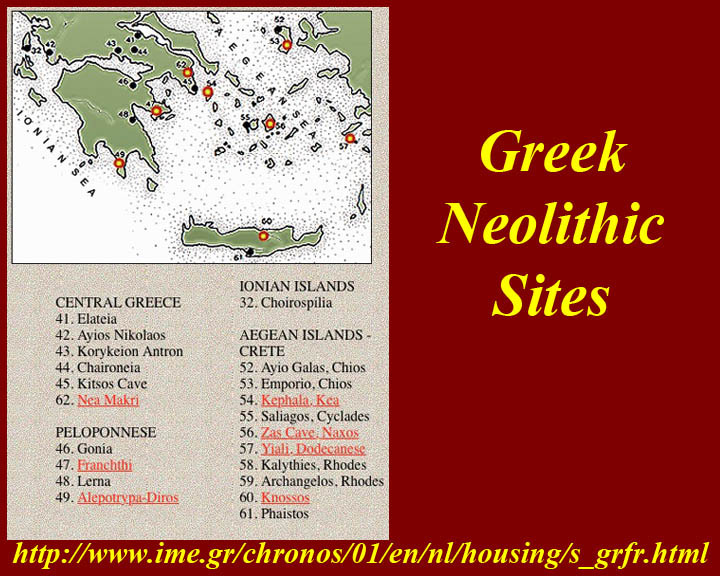 Neolithic sites are not uncommon in Greece, but few sites show evidence of permanent neolithic settlements. 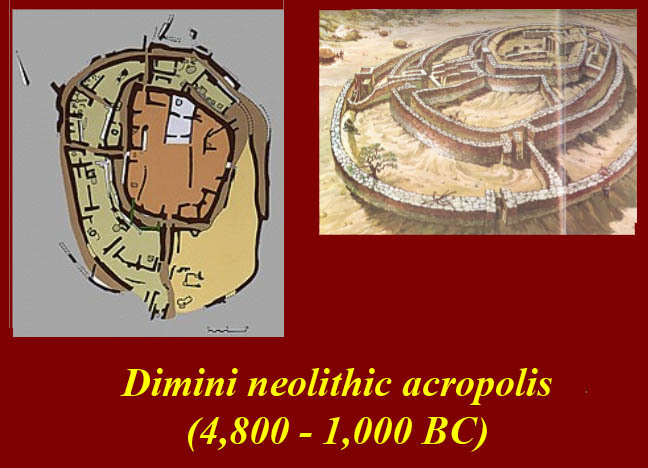 The most developed (and well excavated) site is Dimini. 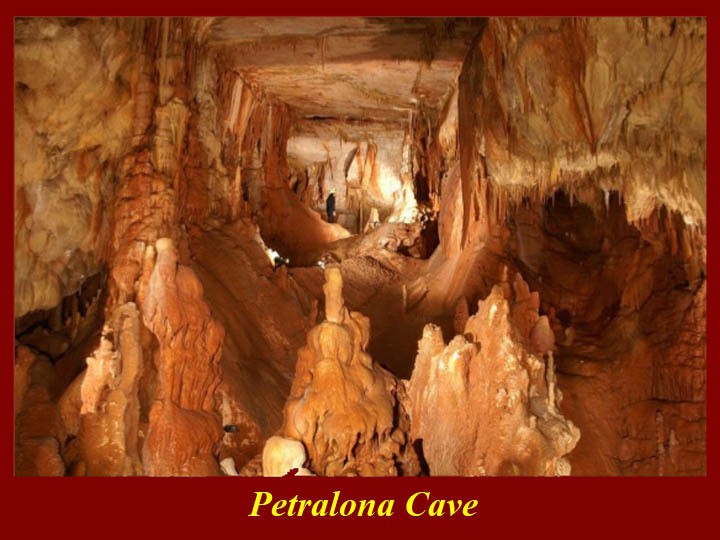 The Petralona cave (Greek: Σπήλαιο Πετραλώνων) is located in Chalkidiki (Greece), about 35 km S-E of Thessaloniki and on the west side of Mount Katsika. The cave is easily accessable by road from Thessaloniki. Often designated as the "Petralona skull", the skull of the oldest European hominid, Archanthropus europaeus petraloniensis, was found there. 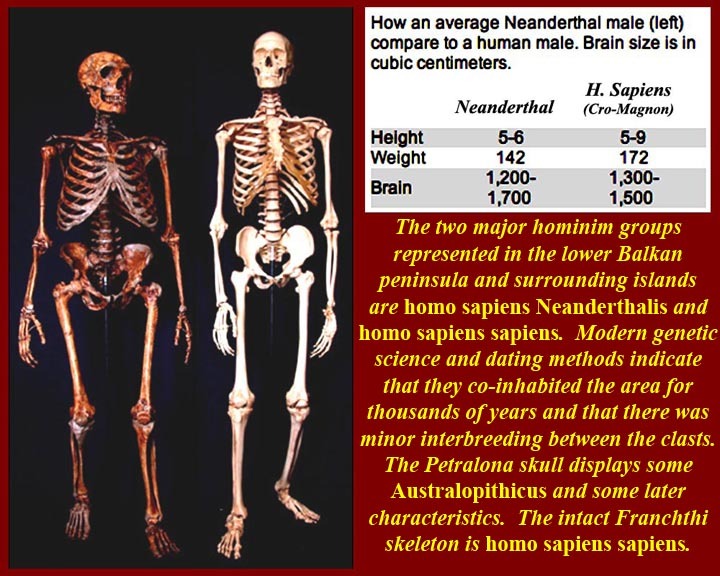 It has characteristics of Australopithicus and of homo sapiens Neanderthalis and may be a hybrid. 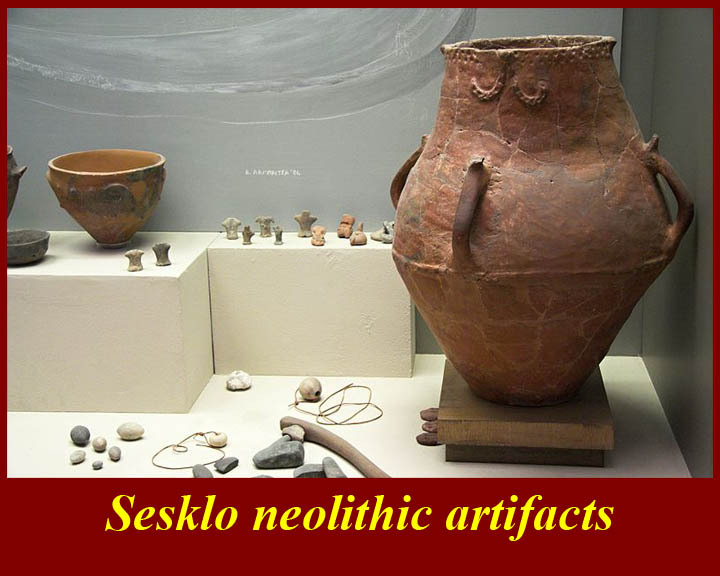 The Anthropological Museum of Petralona on the site displays some of the finds from the cave. 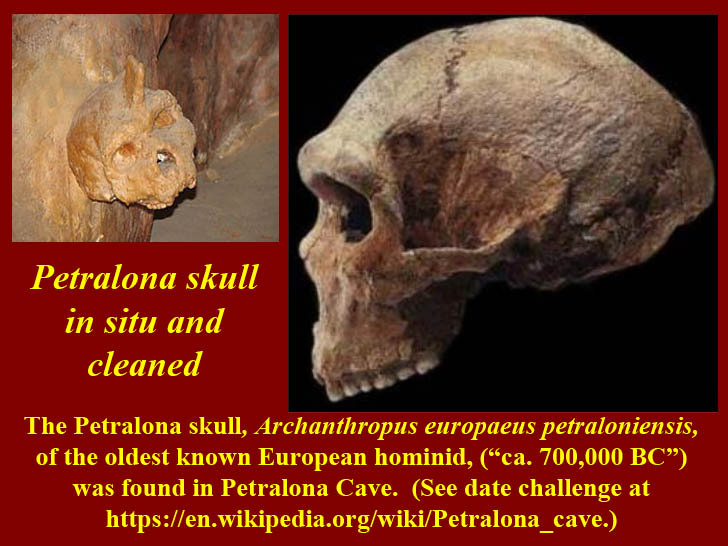 See https://en.wikipedia.org/wiki/Petralona_cave for more information on the cave and the skull. 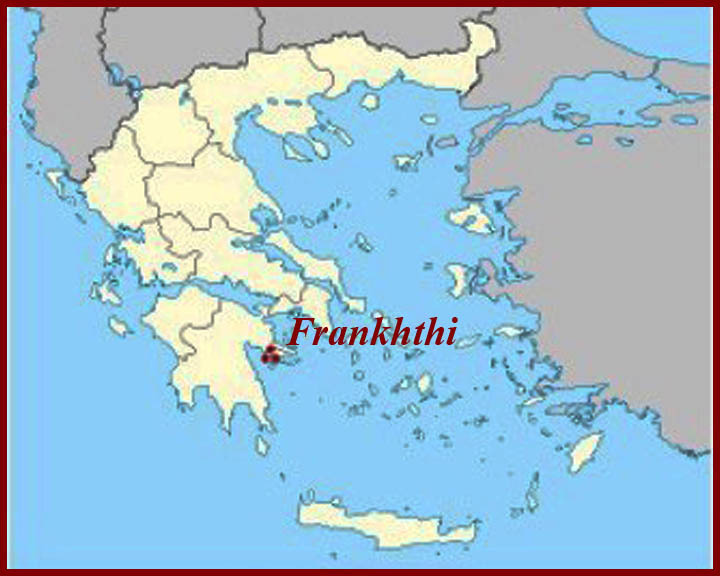 Franchthi cave or Frankhthi cave (Greek: Σπήλαιον Φράγχθη) is a cave overlooking the Argolic Gulf opposite the village of Koilada in southeastern Argolis, Greece. 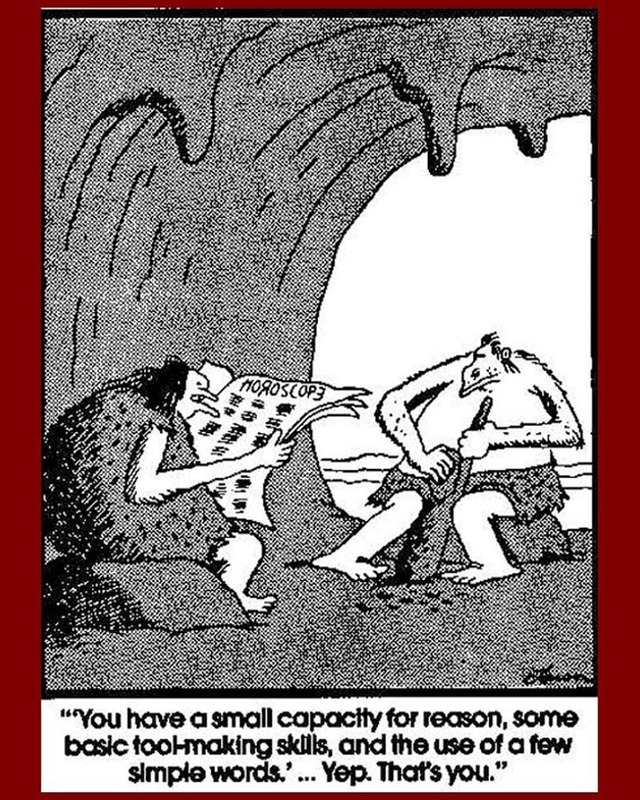 The cave was occupied from the Upper Paleolithic circa 38,000 BCE (and possibly earlier) through the Mesolithic and Neolithic periods, with occasional short episodes of apparent abandonment. 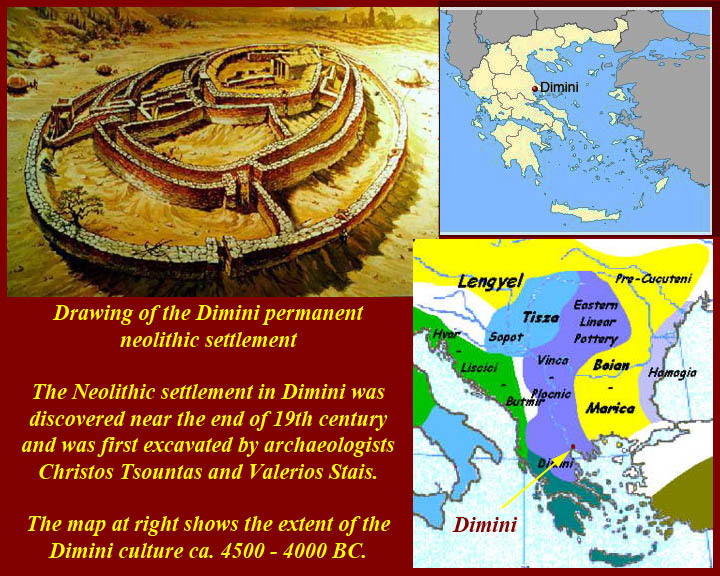 Last occupied around 3,000 BCE (Final Neolithic), it is one of the very few settlements in the world that shows nearly continuous human occupation for such an extended period of time, and is one of the most thoroughly studied sites from the stone age in southeastern Europe. 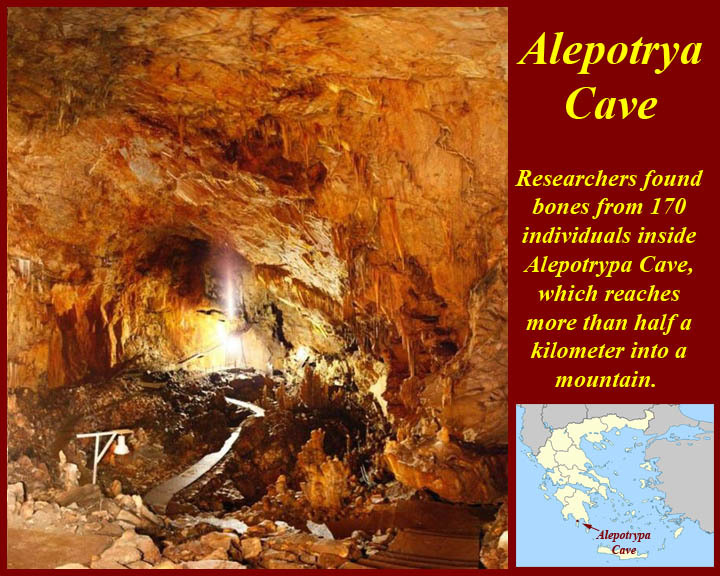 Among the finds in the cave are the oldest known human (homo sapiens sapiens) skeleton found in Greece -- 8th millennium BC. 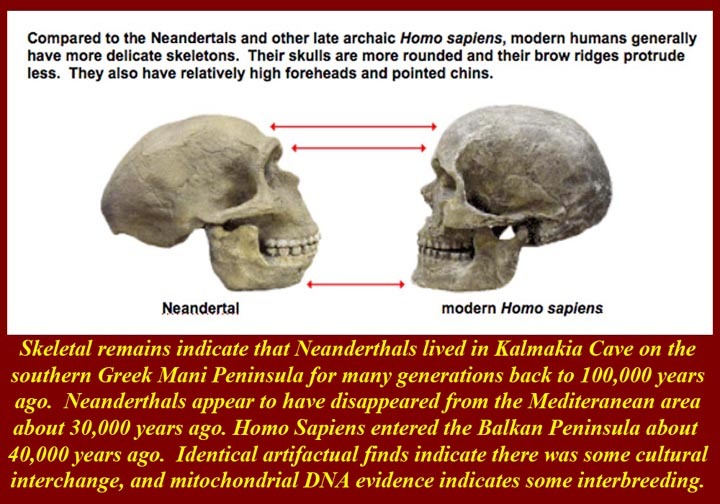 Neanderthal remains, including bones of children and adults, found in Kalamakia Cave in April of 2013, hints the area may have been a key crossroad for ancient humans. The age of the fossils suggests Neanderthals and humans may have at least had the opportunity to interact, or cross paths, there. 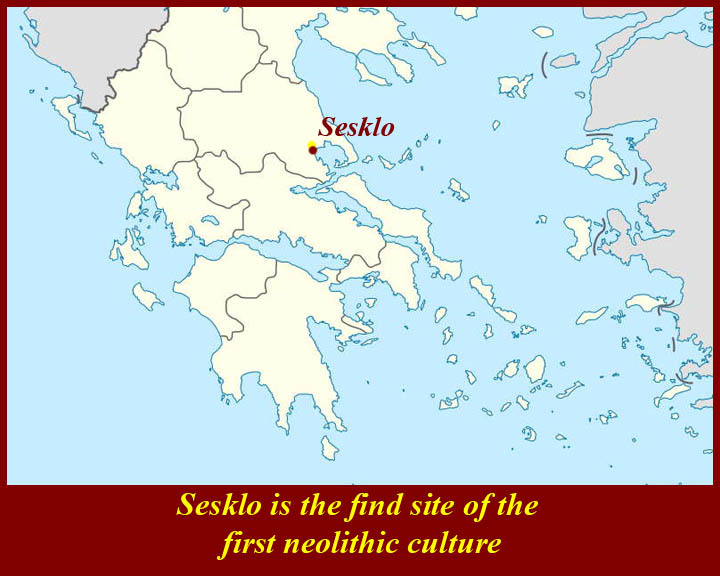 The Sesklo and Dimini neolithic settlements existed in closs proximity for several centuries, and that called into question the early expert opinion that Dimini had displaced and succeeded Sesklo. 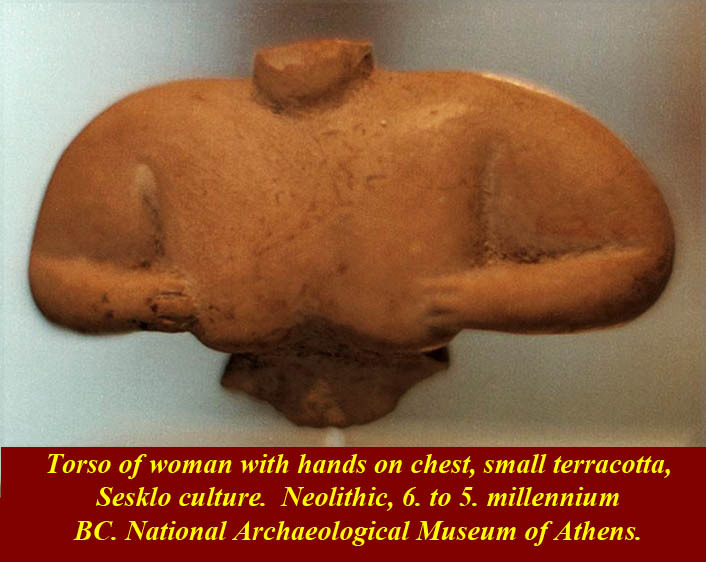 Greek Neolithic figurines exist by the hundreds. Most are made of baked or partially baked clay. 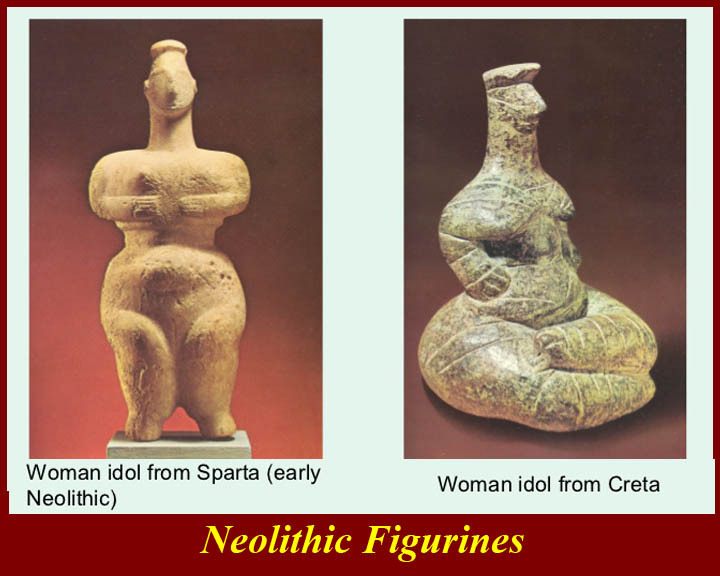 To see many more search Google Images for "Greek Neolithic figurines". 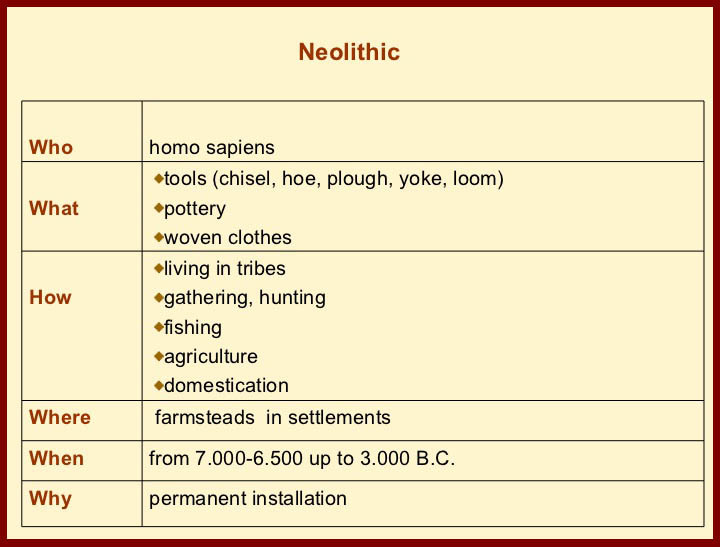 Characteristics of the Greek neolithic. 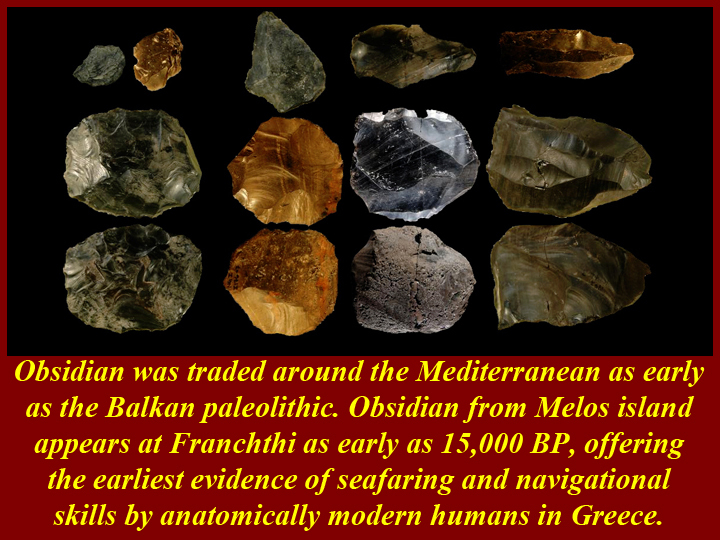 The ancient Greeks had strong beliefs about their prehistoric origins. 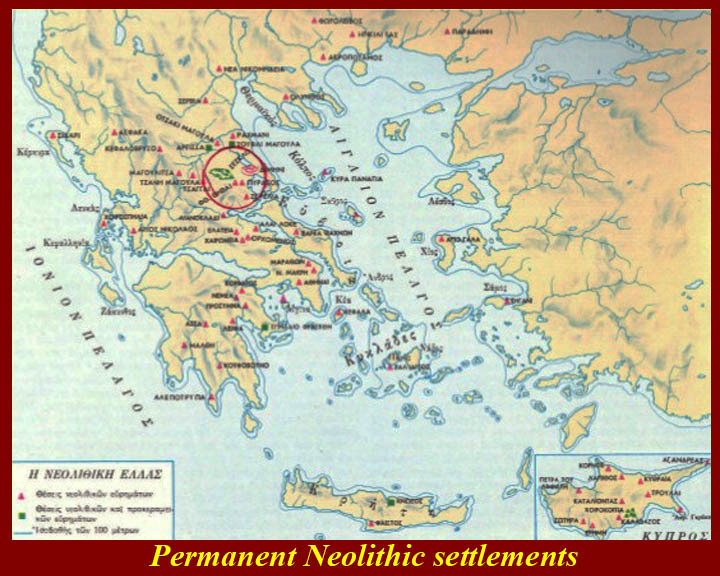 They thought that there were autochthones (called Palasgians) in the Greek area who were displace by four waves of advanced immigrants from the north. 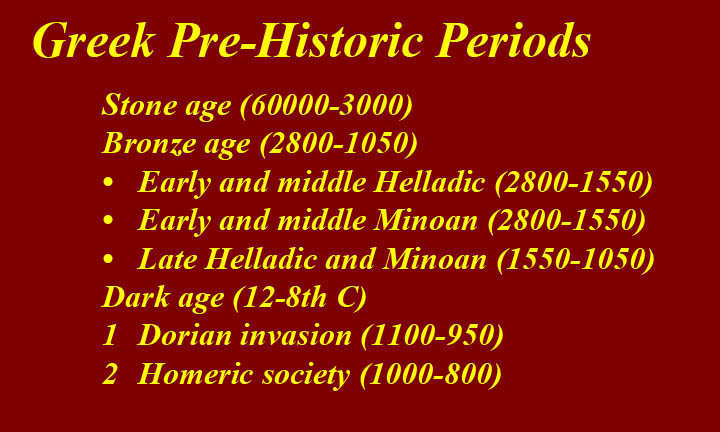 Herodotus identified the last wave as the Dorians. 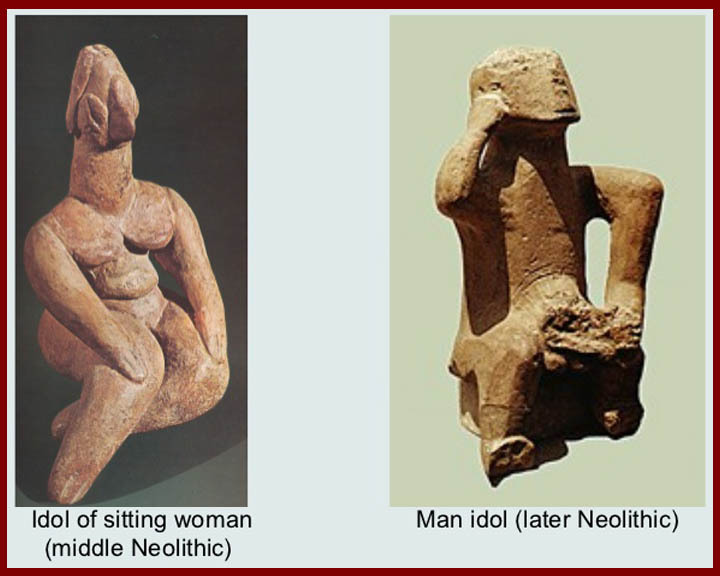 There is no archeological evidence to support the ancient Greek belief system. Many modern scholars believe that the four wave invasion hypothesis is similar to a creation/origin myth posited to explain Greek language variations: Aolic, Ionic (and its sub-dialect Attic), and Doric. 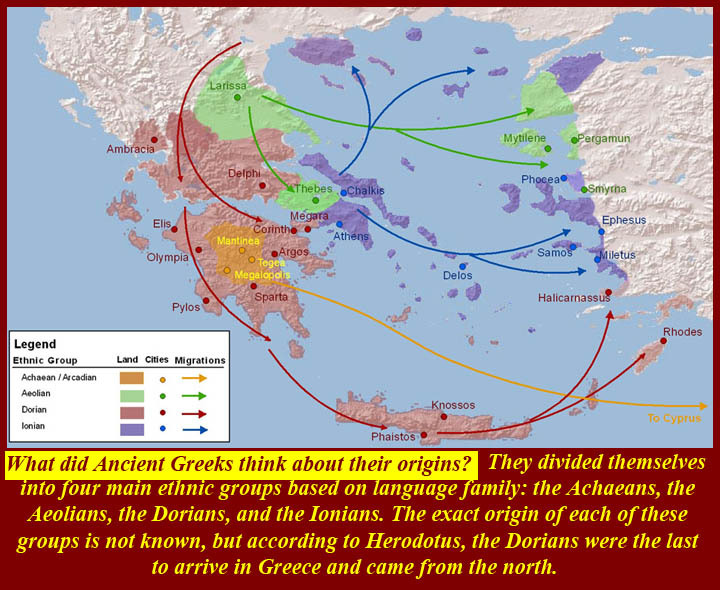 Hellenistic Greek, 'Koine' (meaning Common, also known as Biblical Greek), came from the colonization of Asian Minoans to Egypt and to the Middle East; this is where the language evolved into multiple dialects. Alexander the Great was instrumental in combining these dialects to make the 'Koine' dialect. As this allowed Alexander's combined Army to communicate with itself and the language also taught the inhabitants of the land he conquered, making Greek a world language. This then allowed the Greek language to flourish during the Hellenistic period. 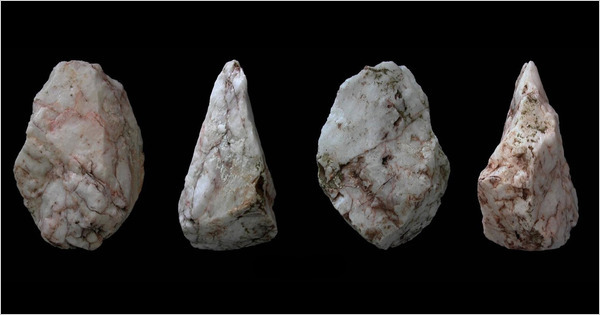 Stone tools were, of course, the reason that the "lithic" (Paleo-, Meso-, and Neolithi) periods acqired their names. 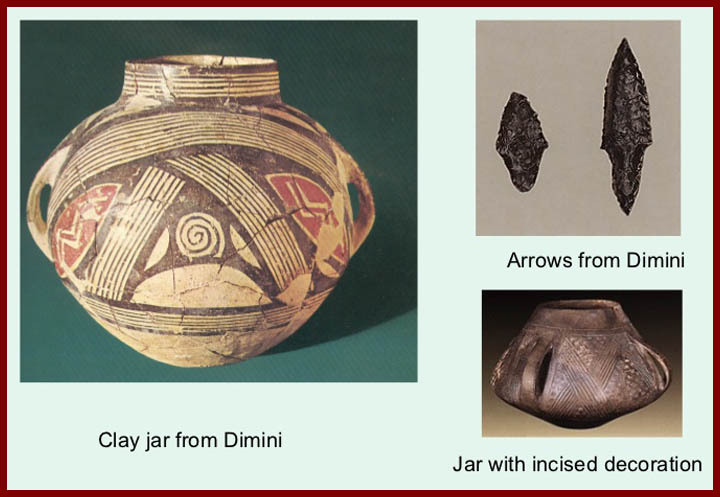 Materials used in lithic industries defined movement patters of groups and also allow modern scientists to deduce trade patterns and transportation abilities -- the third slide above, for example, implies an ability to pursue maritime trade and also indicates a preference for obsidian as a material for stone implements.